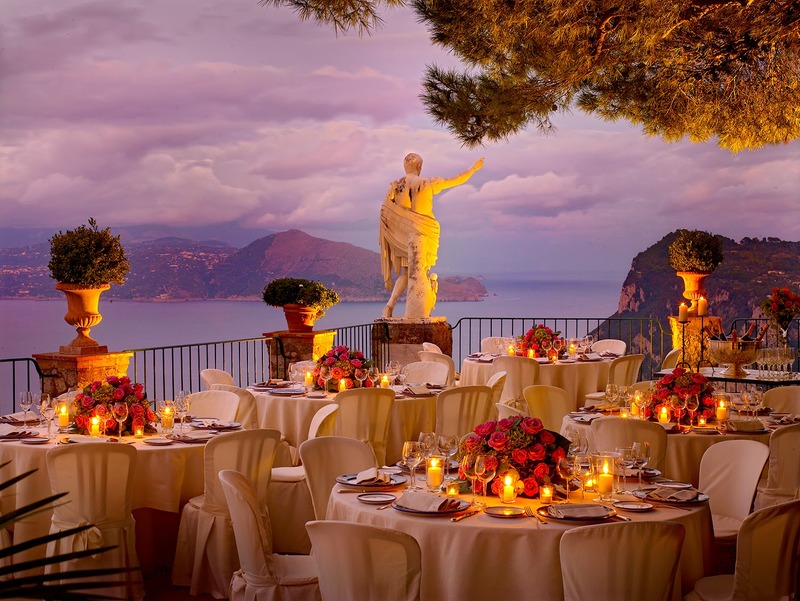 Italy week at Destinations Perfected continues with the jaw-dropping Hotel Caesar Augustus located 1,000 feet above the sea in the town of Anacapri on the famous island of Capri. This Relais & Chateaux property absolutely defines the word 'luxury' and the staff are attentive, outgoing and friendly. Call ahead and inform the hotel of the time your ferry arrives and they will be waiting for you at the port in their yellow and green van. 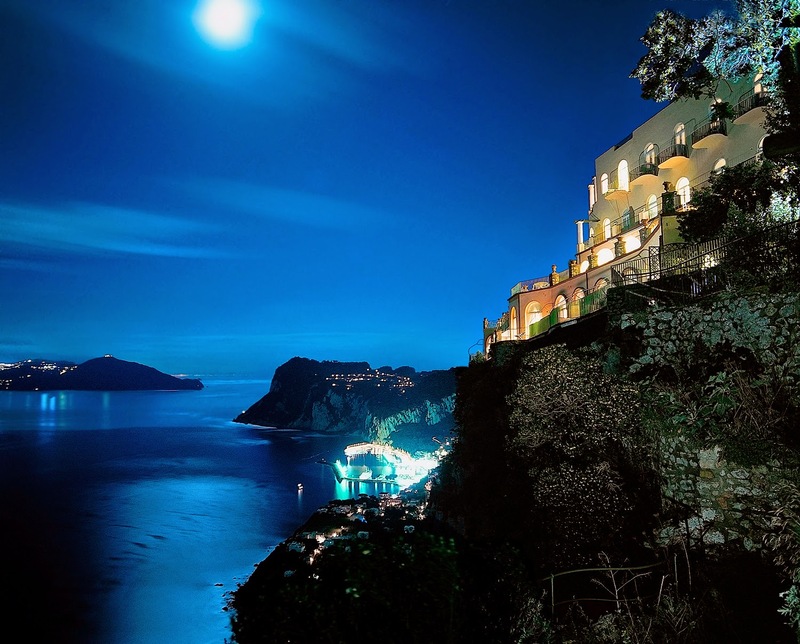 You and your luggage will be transported up the winding roads that seem to just hang off the edge of the cliff and finish in the azure sea below. 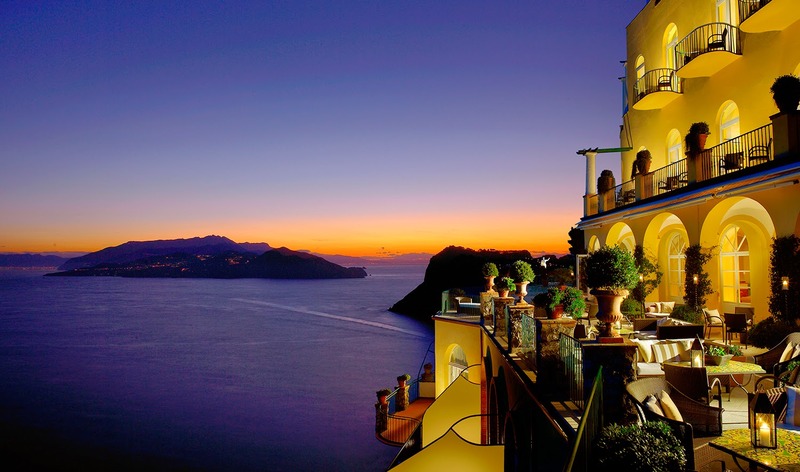 As you can imagine, the views from this hotel are breathtakingly spectacular. 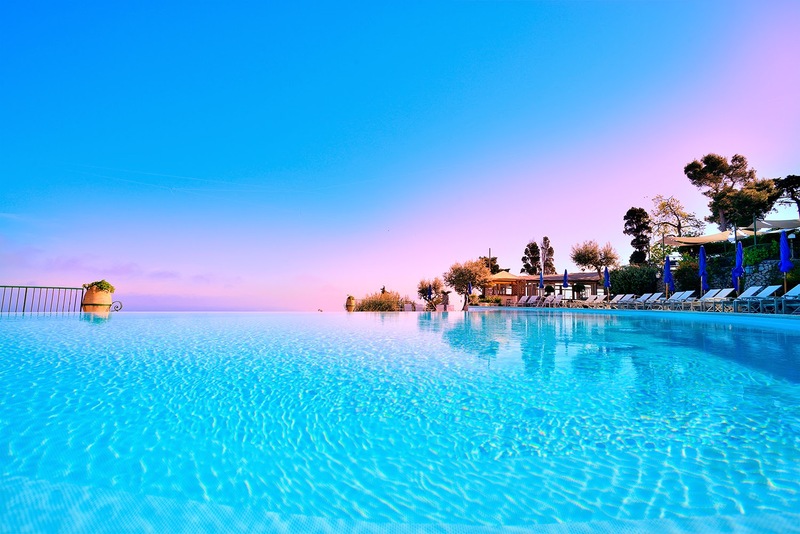 As soon as you check in, the hotel staff will immediately give you a tour of the entire property, making sure that you are acquainted with the restaurant, bar, breakfast room, pool area and spa, and then will accompany you to your room to make sure it is to your liking. I really appreciated this personal attention because it made me feel as if I was in someone's home and they were both showing me around and trying to make me feel as comfortable as possible. 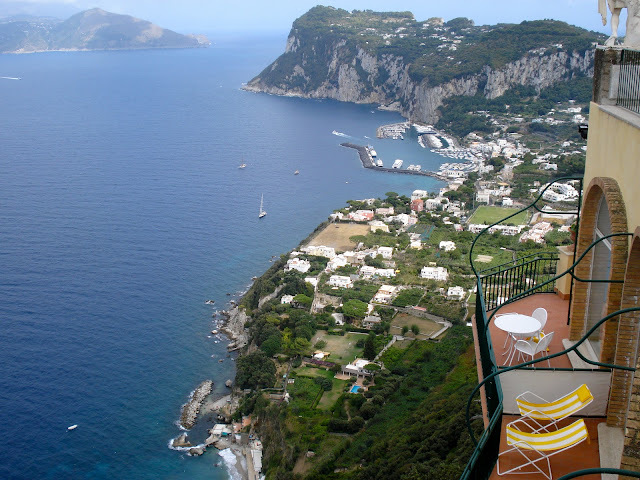 One of my favorite memories from the four-day weekend I spent here was having my breakfast each morning in the beautiful and sunny yellow dining room that overlooked the infinity pool and the entire Bay of Naples, as well as the island of Ischia. The waitstaff are gregarious and cheery and so eager to help you with hot beverages or warm eggs if you so desire. 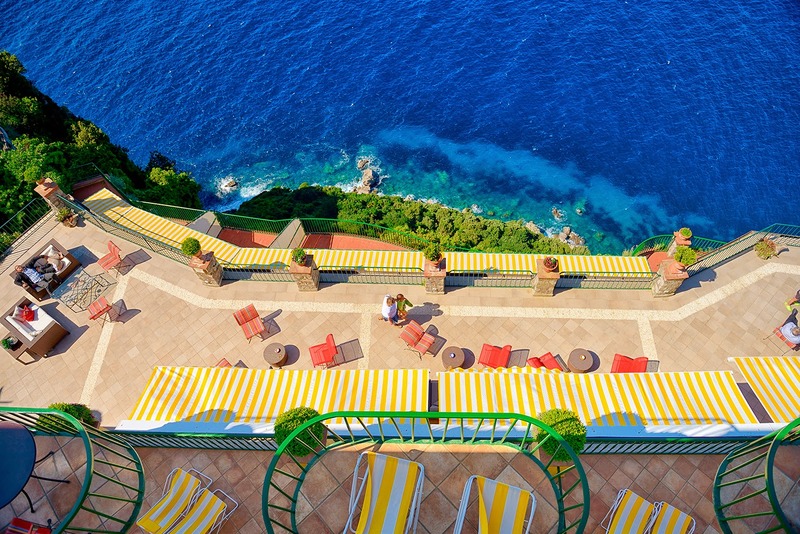 The breakfast buffet in the morning fills three tables and has everything you could ever dream of: salumi, local cheeses, freshly made pastries, biscotti, mini sfogliatelle (a famous neapolitan pastry), beautiful marmalade tarts called 'crostata', cereals, yogurt, freshly cut fruit and juices. 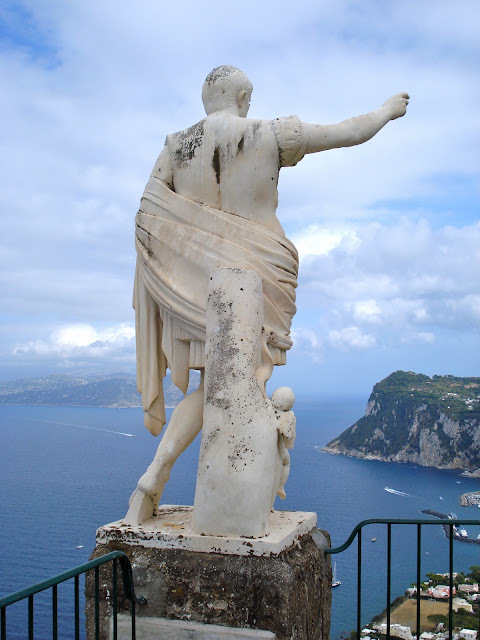 While I spent most of my vacation lazing around the gorgeous infinity pool overlooking the sea, I did take the time to walk the five minutes into the small town of Anacapri. 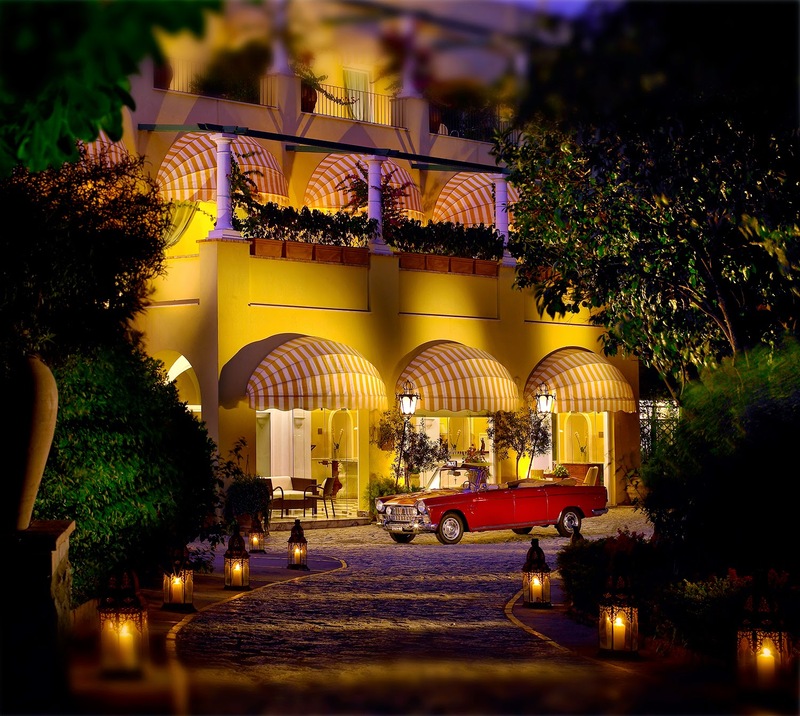 Here you can find the beautiful Capri Palace Hotel, which is also home to two of my favorites boutiques: Pop Gallery (which features the work of local artisans) and Mariorita. 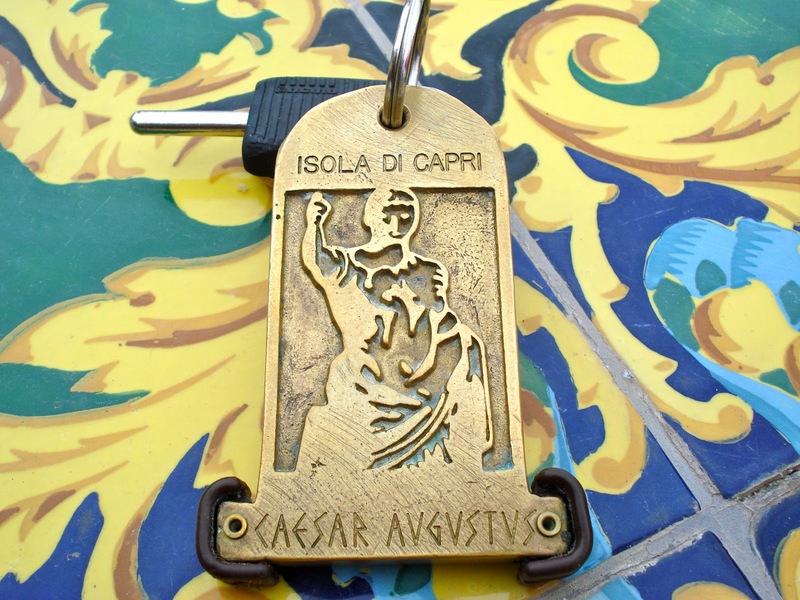 There is also a small Carthusia boutique which carries perfumes, home fragrances and soaps all made on the island of Capri. 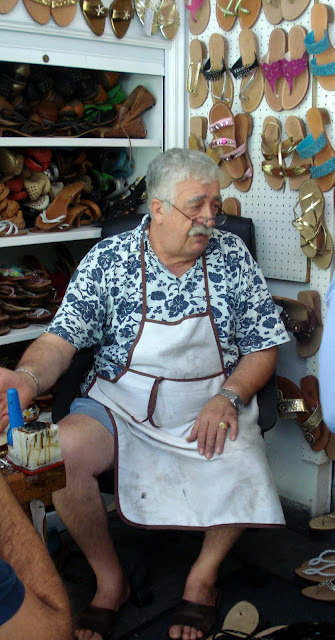 However, your trip to Anacapri would not be complete without visiting Antonio Viva for a pair of handmade sandals at L'Arte del Sandalo Caprese. You can choose from dozens of styles already finished, or come up with your own idea and he will make it for you on the spot. You will however want to go into Capri itself for shopping, pastries, meals, pre and post dinner drinks, people watching and nightlife. 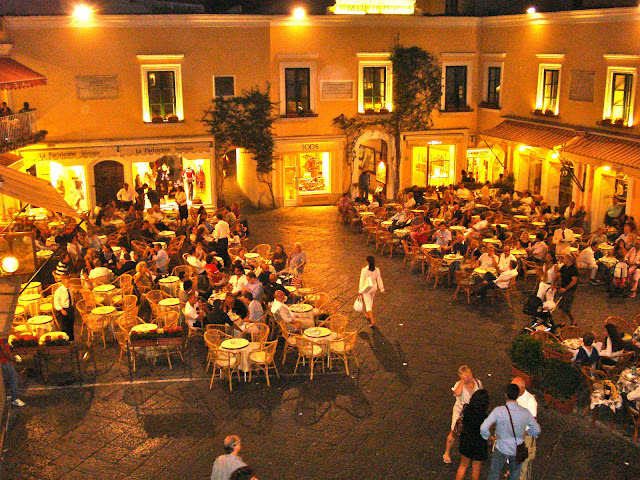 The Hotel Caesar Augustus provides a shuttle that will take you to the main piazzetta and bring you back to the hotel when you are finished. However, the last shuttle into town is at 8pm, so if you are going out to dinner or want to stay out late your only option for getting back to the hotel is a taxi, and taxis are expensive on the island! 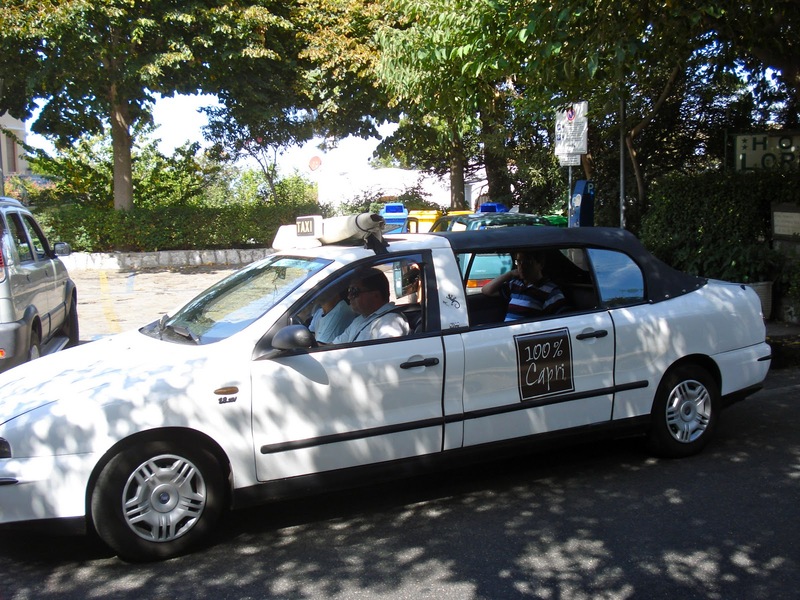 But you must take a taxi at least once on Capri because the entire back seat is open air (sometimes has just a small canopy) and it is so much fun to be in a convertible and feel the sea air whizzing past you. 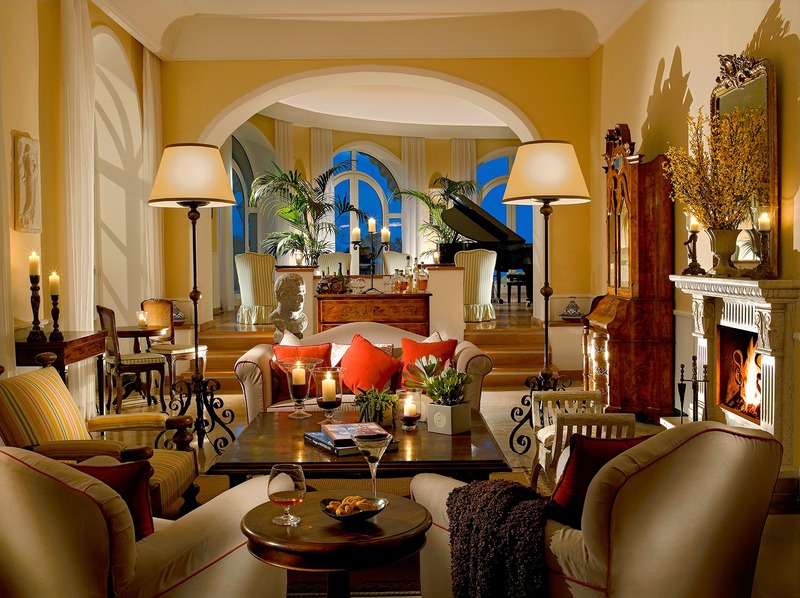 The Caesar Augustus has a beautiful and inviting lobby and living room to lounge in or read the paper, as well as a bar with a piano player that also claims to be the only bar in the world to have such a large outdoor terrace facing the gulf of Naples. I had both drinks and a light snack one afternoon on the terrace and it was truly memorable. 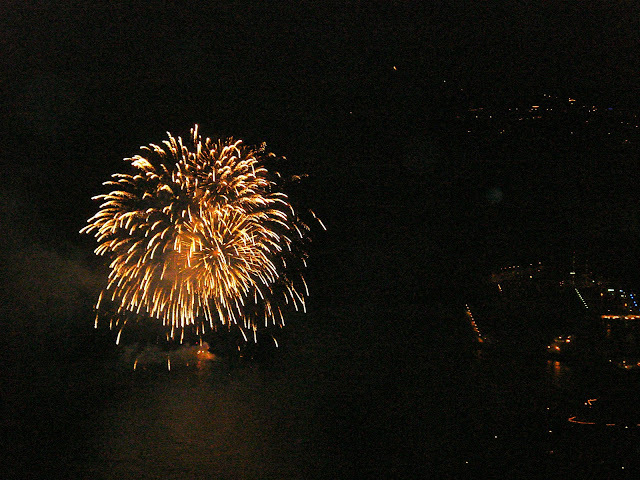 I was lucky enough to return from dinner one evening to witness a half an hour fireworks display from the terrace that was taking place in the port below (in honor of the Madonna or a patron saint, I can't remember which one). 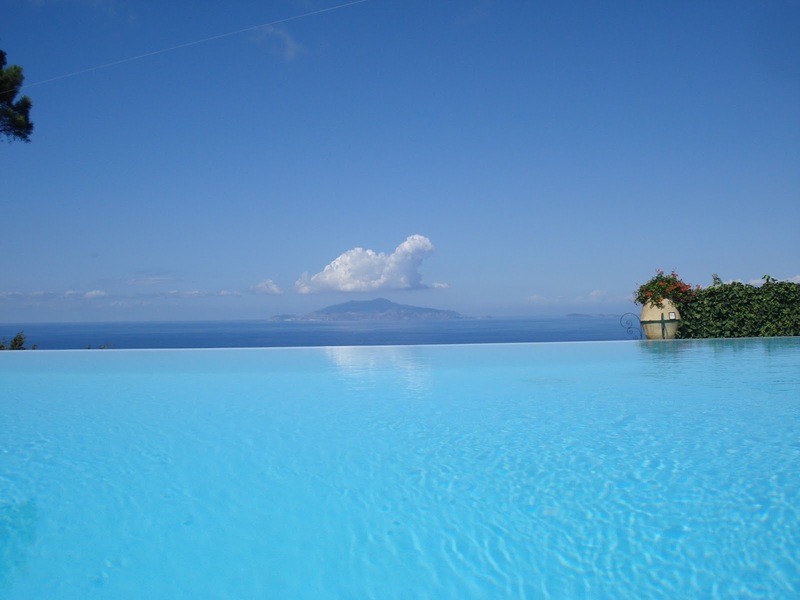 I also had lunch one day at the hotel in their Lucullo Terrace restaurant, which is just next to the pool, and enjoyed a traditional caprese salad with amazingly fresh mozzarella di bufala from nearby Naples and the ripest, juiciest tomatoes of the season. I still can't decide which I enjoyed more: the meal or the astounding turquoise sea view from my lunch table. I cannot recommend more highly the Hotel Caesar Augustus, its beautiful setting, its staff and how much I enjoyed my time spent there. Many people prefer to be at a hotel that is located right in the heart of Capri itself, and not in nearby Anacapri, but trust me, Capri gets crowded and claustrophobic quickly, and retreating to a peaceful former mansion to truly relax and escape the crowds is the only way to go.